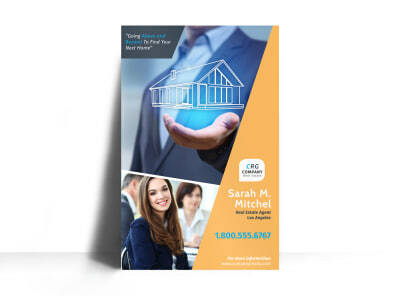 Build your brand in the local real estate niche with attention-commanding posters created using our real estate poster templates. We offer a range of professionally designed and easy-to-use templates that are ready for your own unique customizations using our intuitive online editor. 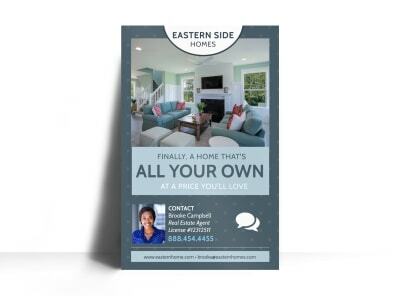 Create real estate posters to promote an upcoming open house or blazing hot just-listed property. Looking for more poster ideas? Try putting the spotlight on your expertise or use the space to introduce a new agent to your ranks. Upload photos, artwork, graphics, custom text, and more to put your own twists on your design, and then print your posters from any location or trust our team to print them for you. Promote your next open house like the housewarming party it should be. 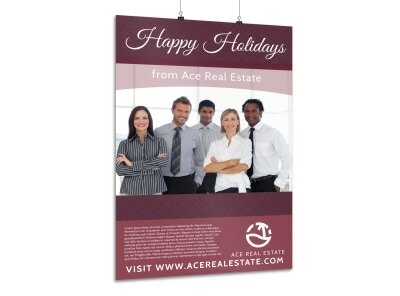 Create an inviting poster that makes potential buyers feel welcome and at home. 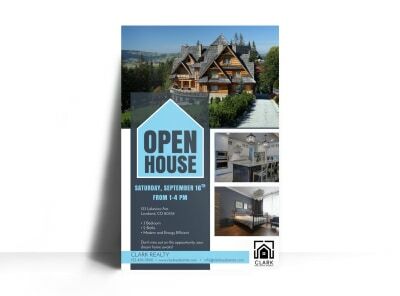 Your poster should function as a semi-personalized invitation that treats your open house attendees like honored guests. Feature an impressive and flattering photo of the property and its best features, along with all the nitty gritty details like square footage, beds/baths, and asking price. As the host, your photo and contact info should also feature prominently, along with a mention that those who can’t make it can call to schedule a private showing. Design and print your poster in a flash with our online editor!